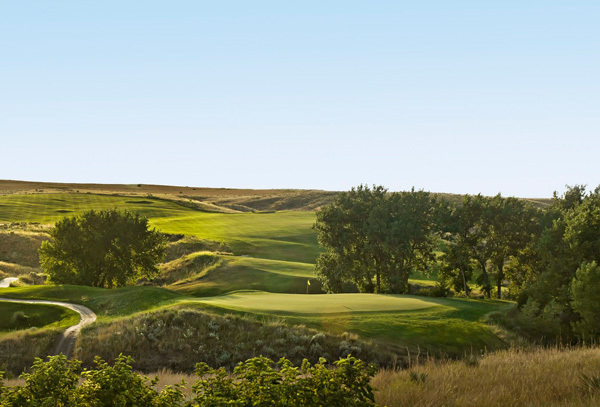 Unforgettable holes fill many of Nebraska’s 180-plus golf courses. But for the best scenic views and novel challenges, try these. 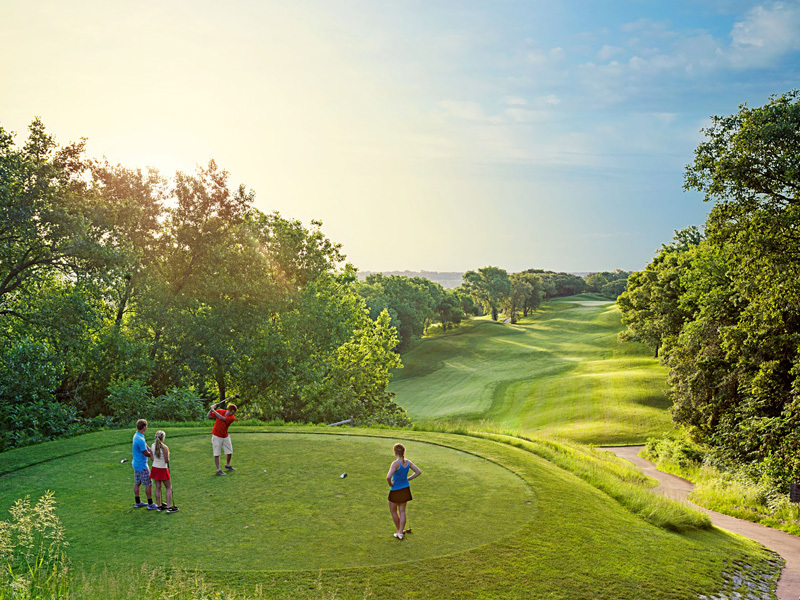 Near the Platte River between Lincoln and Omaha, elevated tee boxes usher players into a limestone quarry some 60 feet below, where a generous landing awaits. Towering bluffs and rocky walls frame the narrow approach to the green surrounded by a pond (quarryoaks.com). Ponderosa pine trees and a canyon wall buffer players from the always- present wind on this wide-open Sandhills course. But you’ll need more than a windbreak to score well on this hole, which has a wide berth off the tee and roughly cut, indigenous landscape lying in wait for the reckless (theprairieclub.com). An old rock quarry, lake views and difficult elevation changes greet players at this 18-hole course, a few miles from Eugene T. Mahoney State Park. Dubbed the toughest par 5 in the state, No. 10 can ruin a good game unless the ball lands perfectly on minimal green (golfironhorse.com). Repeat players recommend renting a cart to tackle the hilly terrain of this par-72 course in the Sandhills. They’re also the ones who nicknamed the 14th hole Culbertson, the next town west of McCook. Plan on at least three shots just to reach the green (golfmccook.com). 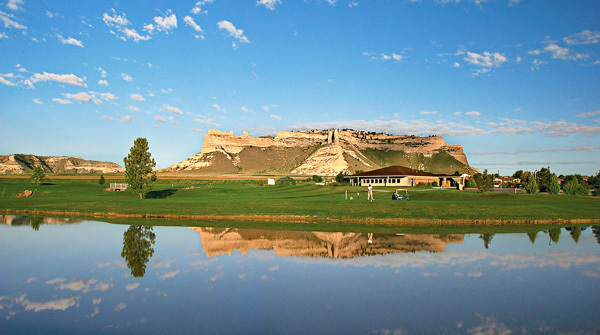 The rocky Scotts Bluff National Monument looms to the west of Monument Shadows, which offers challenging holes and more solitude than most courses provide. Dodging the water hazards lining the narrow fairway, plus the three sand traps surrounding the green, requires accuracy and patience (monumentshadows.com). 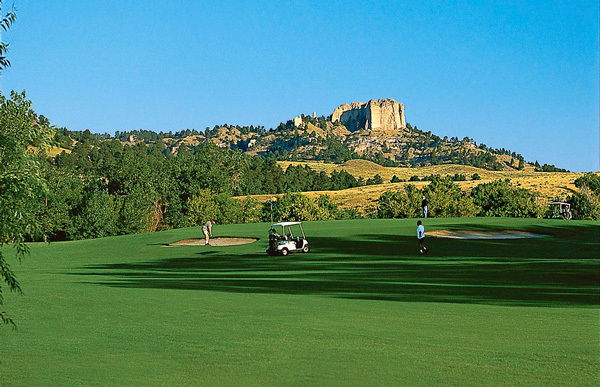 More than 5,000 pine and poplar trees line the fairways of this aptly named course. However, the frequent wind isn’t the only challenge. Subtle slopes and slippery greens demand attentiveness. On the third, a three-tiered green coaxes balls toward the pond (kimballne.org). 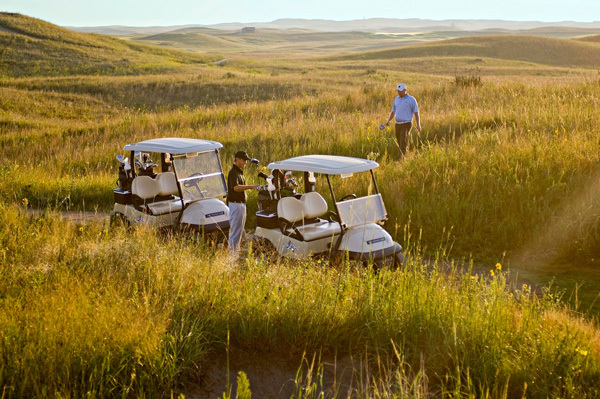 Carts are standard at this 7,450-yard course owned by the Santee Sioux Nation. So are grazing buffalo, inspiring the course’s name. The old country bridge is original, but before players can cross, the ball must fly 230 yards to carry the canyon (tatankagolfclub.com). The nine-hole Legend lies at the base of the towering Red Cloud Buttes. Looking out from the tees, the fifth hole is a demanding beauty, with brush lining the left and the White River along the right. The fairway bottlenecks while approaching the gently sloping and well-protected green (crawfordnebraska.net). The naturally rough prairie terrain surrounding Lake McConaughy (Nebraska’s largest lake) comes into play here. 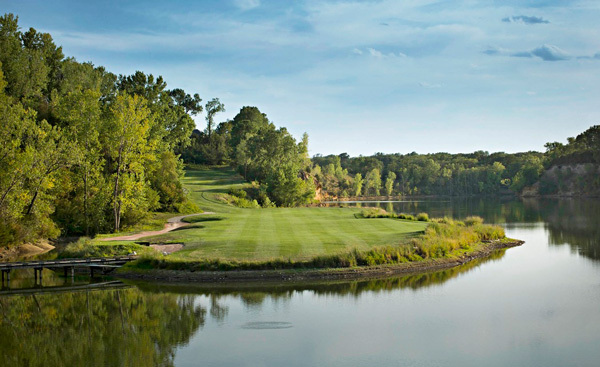 To master the 13th, players must tee off toward the reservoir into prevailing winds and over swaths of native prairie grass to a diminutive, curvy and well-guarded green (baysidegolf.com). Wilderness Ridge challenges with designs, like this lengthy par 3 with a water hazard followed by a dangerous, multilevel green. Luckily, the architects of the 7,100-yard course believe in fairness, too, and provide generous bailout areas just off the green (wildernessridgegolf.com). The city course, named for the winner (playing as an amateur) of the 1933 U.S. Open, sits on the city’s south side, where he grew up. This hole’s severe dogleg requires blind faith and luck. Cutting the corner yields a 100-yard gain, but an old-growth tree line, a pair of bunkers and a severely sloped green cause pause (parks.cityofomaha.org). Prairie surrounds No. 7, defined by well-placed bunkers that require two great shots to make par. From the tee, bunkers nudge players to a narrow portion of the vast fairway. A giant trap guards the left of the green with a couple of large mounds off to the right (playwildhorse.com).